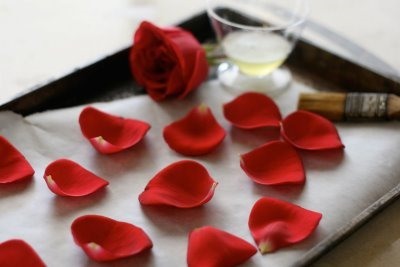 Step 1 Gather some pretty rose petals. Step 2 Remove the best petals & lay on parchment lined cookie sheet. Step 3 Add 1 tsp water to one large egg white and whisk well. 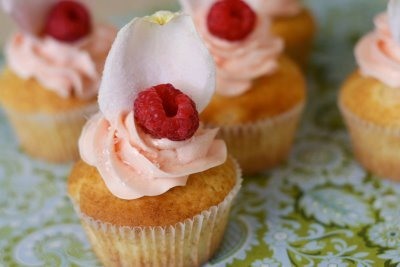 Use a pastry brush to coat the rose petals lightly with the egg wash. Sprinkle with sugar immediately. 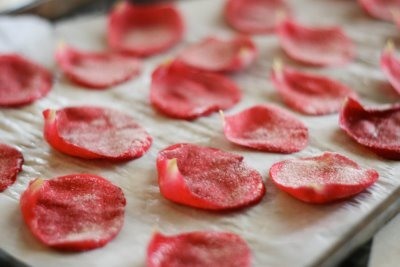 Step 4 Lay on parchment paper and let petals dry completely over 24 hours. 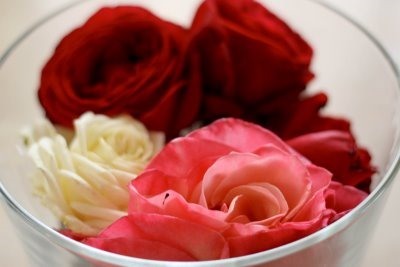 The hardened rose petals can be stored and safely used for up to 3 weeks. Can the petals decorate gelato or sorbetto? Or will they wilt in the cold?